We all love Santa Claus. But there is an actual saint behind the jolly man in red and archaeologists may be on the verge of finding his tomb. 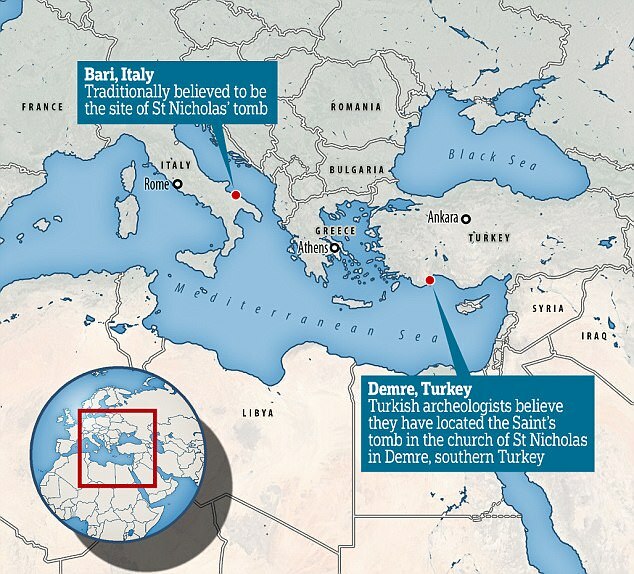 They believe his remains lie under an ancient church in the Antalya province in southern Turkey, in the city of Demre. It is the birthplace of St. Nicholas… better known to us as Santa Claus. During electronic surveys researchers found there were gaps beneath the ancient St. Nicholas Church. In those gaps, researchers believe the bones of the revered saint are interred. There has long been a debate on where his remains were laid to rest. But be assured… Santa Claus lives on. St. Nicholas was known for his generosity and giving spirit. He was renowned for his gift-giving and charity to the poor. He lived during the fourth-century. Records indicate he was buried at the church that was erected in his name. But no one knew for sure if that was true or the exact whereabouts of his body. He was evidently born in the third-century and lived and died in Turkey. The tomb is located beneath a mosaic that will have to be carefully removed so nothing is damaged. 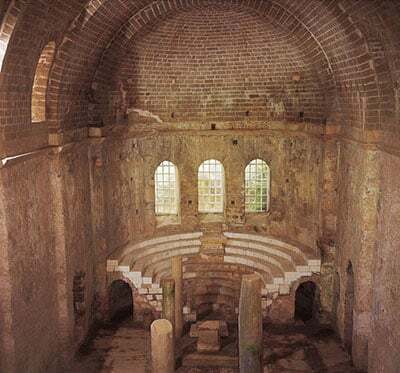 “We believe this shrine has not been damaged at all, but it is quite difficult to get to it as there are mosaics on the floor,” head of Anyalya’s Monument Authority Cemil Karabayram told Hurriyet Daily News. “We have obtained very good results but the real work starts now,” Karabayram said. The temple is currently inaccessible due to the stone reliefs blocking it. “We will reach the ground and maybe we will find the untouched body of Saint Nicholas,” he said. St. Nicholas died in 343 A.D. 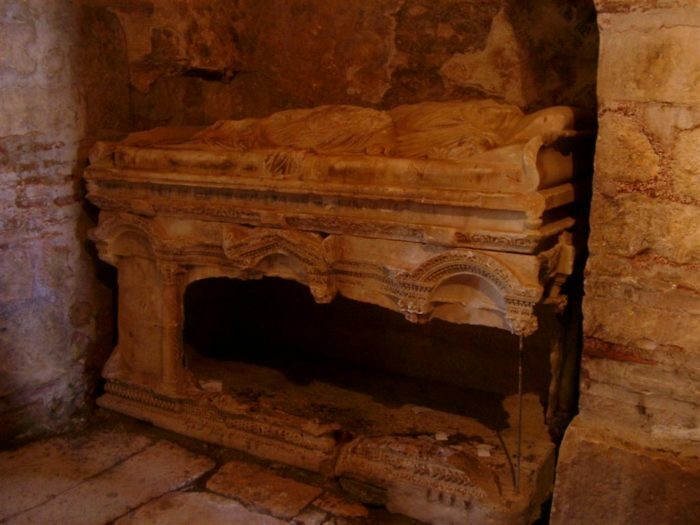 Researchers believe he was then interred at the church in Demre, where he lay undisturbed until the 11th century. Prior to this, it was believed that the 1,674-year-old remains were smuggled to the Italian city of Bari by merchants in the year 1087. This does Indiana Jones proud. Archaeologists now believe the wrong bones were removed. The ones that went to Italy belong to an anonymous priest. Dr. Karabayram suggests the wrong bones were taken when the church was burnt down and then reconstructed. He’s optimistic about the findings in the newly found crypt. He is currently trying to hire researchers from eight different specialties to carry out work at the tomb. 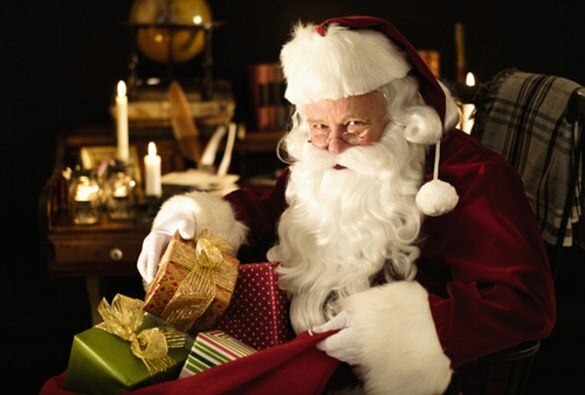 The legend of Santa Claus is based on stories about St. Nicholas, who had a reputation for performing miracles and secretly giving gold to the needy. He famously said: “The giver of every good and perfect gift has called upon us to mimic God’s giving, by grace, through faith and this is not of ourselves.” One story relates that he did indeed climb down a chimney to leave a donation. 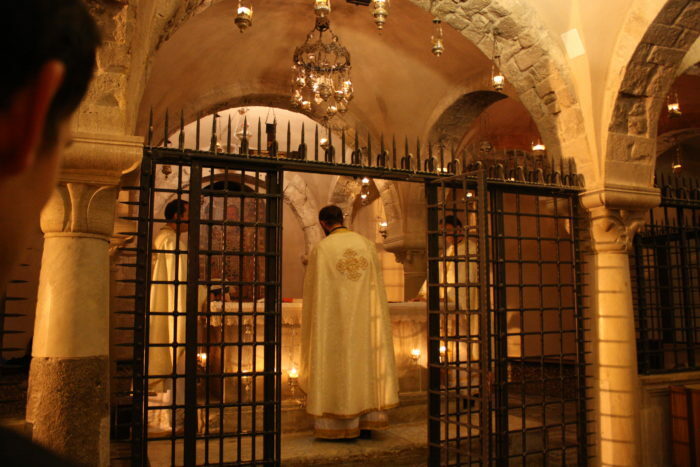 Upon his death, St. Nicholas was buried in his hometown of Myra, which is also Demre. Demre, previously known as Myra, in Antalya province, is believed to be the birthplace of Santa Claus. If they do find the 1,674-year-old remains it would contradict locals’ narratives which suggest the relics are in Italy.